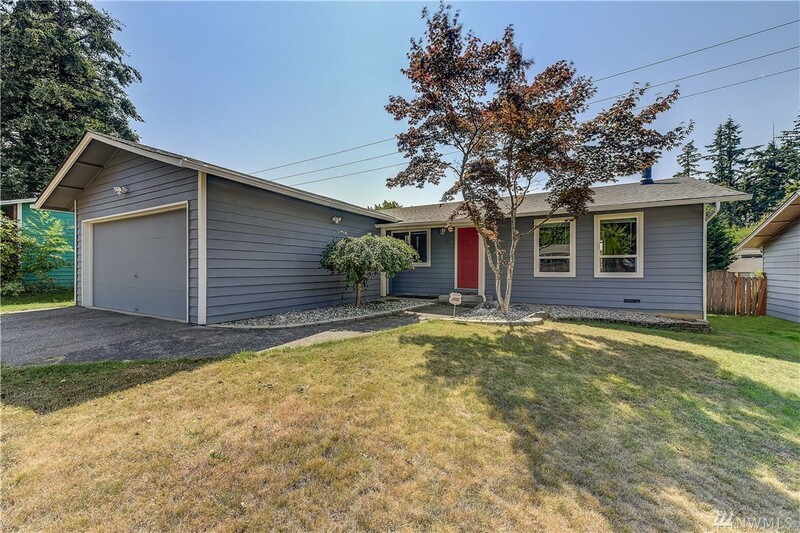 Immaculate Bothell rambler with nice mountain views and an awesome fully fenced yard! Cedar siding and all newer: exterior paint, gutters, insulation, electric panel + no carpet! Big entertainment deck off cute kitchen with garden window is perfect. Owner added a 1/2 bath, permits on hand. 3 spacious beds with full bath off master includes dual sinks + 2 linen closets w/built-in shelving! Free standing stove with new vent pipe in the cozy main living for those winter movie nights! Do not miss!